Meeting new people and making friends as a senior can be a challenge. You might be a little rusty at it as naturally, you have your social circles established. Finding ways to expand this network and add something new and fresh into your life requires a bit of courage and some determination. So how do seniors meet seniors? It’s not a silly question, it’s actually quite common to want to make some new friends or acquaintances that fulfill your needs at this point in your life. 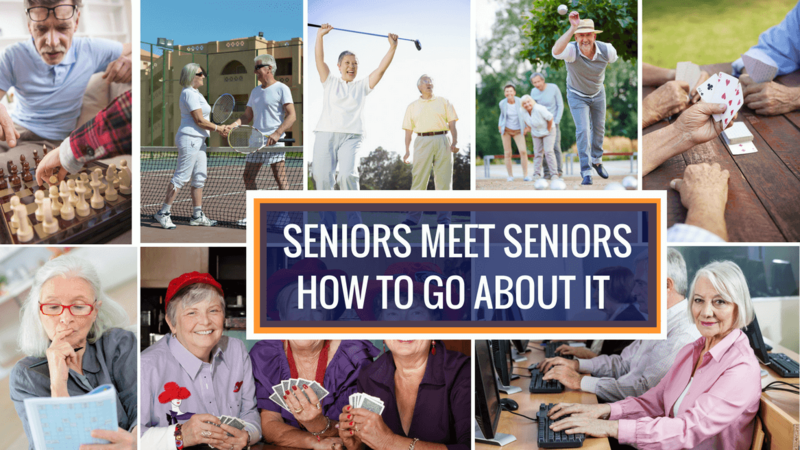 Here are four questions answered about how to meet other seniors to give your daily lifestyle a new jolt! 1.“How do I find other seniors?" At earlier stages in life, you might have made friends through your job, parenting, or your neighborhood communities. Perhaps you moved when you retired or can’t find other seniors through those avenues anymore. Where do you begin? Change your perspective. Reframe the question: how do I find other seniors that I want to befriend? With whom I share interests? Maybe you are just looking to meet other people and not necessarily to make friends beyond acquaintances. More likely, though, you're not looking to meet just anyone, but rather, someone or a group of folks that you could see yourself getting to know. You’ll want to enjoy their company and find that they add value to your life. Start with the things you love. Because you want share something with the people you meet, start with the things that you love. Volunteer for an organization or cause that is meaningful to you. Go to senior-specific meetups on an interesting topic - from a birdwatching group to a genealogy workshop. Take part in activities that consistently build your network - join a bridge center, book club, or crafting group that meets regularly. Join some seniors outing group for local day trips or join a group trip to travel and explore someplace new! Take a course at a local college or institution. Do your favorite things as you normally would - from walking in the park to frequenting your corner coffee shop - and encounter others who enjoy them too. Remember that other seniors are looking for friends, too! Others are just like you, open to meeting new people and eager to build connections and share with others in this life stage. In the same vein, others are also worried about finding companions or being a bother. Don’t be afraid to follow up! Be the one who takes initiative, but don't be discouraged if making friends isn’t instantaneous. By doing the things you love and engaging with others who do too, you’ll meet the other seniors you want to meet. Try! What’s that adage you always told your kids? “If at first you don’t succeed, try, try again.” After all, you’ll never know if you don’t try. Start small with activities you already enjoy. If putting yourself out there requires too much energy, if it’s too hard to get past that initial barrier, start small. There are certainly ways to meet other seniors without having it be your objective: just do the things you love to do. If others are present and participating, it’s likely that you already share things in common. Strike up a conversation about the activity you’re participating in or the event you’re attending. Better yet, ask a question! Give yourself a small challenge: talk to one person while waiting in line or ask a question of one additional participant at your favorite activity. Begin in a comfortable, familiar environment. If you start off in environments you’re comfortable in, or perhaps in a new environment with a familiar task or activity, you aren’t losing anything. You’ll enjoy yourself there anyways, but you have everything to gain, simply by engaging, one by one, if need be, with the other folks around you who share your interests. Get out there and give it a try! Start with a simple hello. Starting a conversation can be as simple as saying hello! When you approach a potential new peer, don’t envision the moment as “making a friend,” which can cause you to feel that the conversation needs to become meaningful quickly. Rather, view it as meeting someone, which is just what it is. Say hello, ask for their name, and then, make conversation about things you know you have in common. The most trite is the weather, but it is certainly tried and tested. More preferable is something nice about them that you can observe. Ask questions. If you’re encountering this person at an event or activity, start by making a comment on something you’re both experiencing and then, and here’s the key to keeping the conversation going, ask questions! Be mindful of the other person’s response, however. If it feels like you’re pulling teeth, give it one more go, and then step back if the person continues to be hesitant. With a willing conversation partner, continue to ask questions. Engage in dialogue by responding with points of your own, and carry the conversation forward through a lull by posing another question that builds off of or asks for elaboration on something they mentioned. By asking questions that probe deeper, you’ll venture from your initial commonality to new and broader similarities and shared interests, and these are the foundations of a continued relationship. Start with the people you know. Maybe there are people with whom you’re acquainted, but not yet friends. Maybe there are friendships that have fallen by the wayside. Maybe there are current friends who you haven’t truly “met” yet. They’ve changed, or you’ve changed, and you have the chance to meet them anew as the person they are today. These potentials are less intimidating because they’re naturally more familiar at the outset. This can be the push you need to overcome hesitations and dive in in earnest. And who knows? Maybe your oldest friends will become your newest friends, too! Reconnect with old networks. High school or college reunion coming up? Rekindle old friendships and embark on new chapters of life with people who’ve been in the previous ones. On social media? Use Facebook or LinkedIn to reach out to people you haven’t spoken to in a while. If you find striking up conversation challenging, send a message responding to or commenting on something they’ve posted. If you've recently moved, who do you know that lives in your new town? Regardless of whether you’ve spoken or seen each other recently, reach out. Remember, you’ll never know if you don’t try! Use your existing network to branch outwards. Utilizing networks both old and new, meet people through your existing friends. You’ll feel more comfortable meeting “new” people when they’re introduced to you by someone you already know. Additionally, this is a great way to meet other quality seniors as your trusted peers will connect you with worthwhile people! 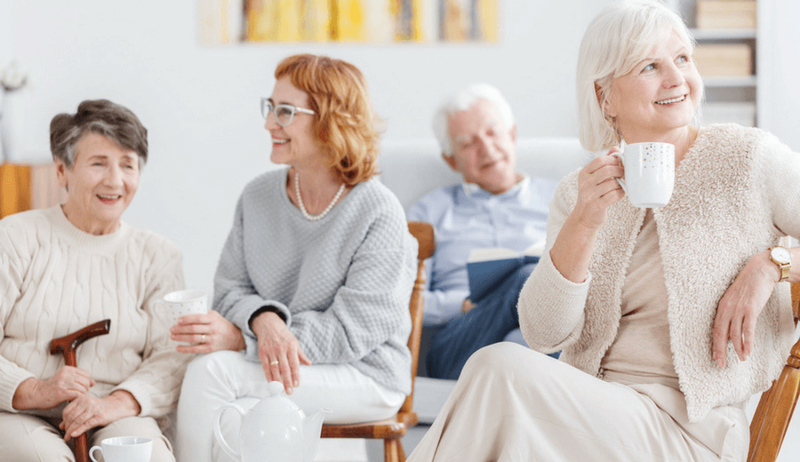 Putting yourself out there can be challenging, especially as seniors looking to meet other seniors. You have a routine, and it can be hard to find new people to get to know. 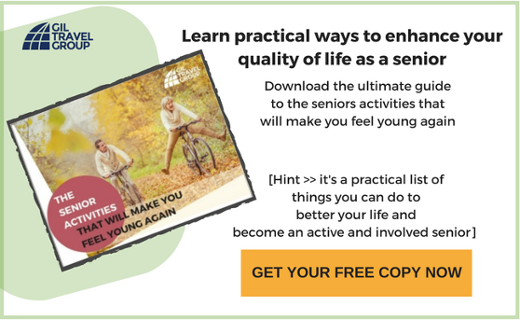 The best strategy to help seniors meet seniors is to start with activities you love to do that are within your comfort zone. By doing the things you love, you’re not wasting your own time, but rather finding others who are like you and with whom you already have ample conversation material. You’re staying within your comfort zone and beginning to extend its borders little by little. Discuss your shared interests. Ask lots of questions! Follow up with these new connections, and don’t be scared off if it takes time. Tap existing networks in new ways, meeting old friends anew and meeting new friends through the old. Bit by bit, you’ll meet other seniors with whom you’ll want to continue the conversation!